Zink Salon is a new name, but it is an established business resting on the experienced shoulders of Pam Zink. Pam has been in this industry for over 24 years, beginning her career under the tutelage of Yosh™. 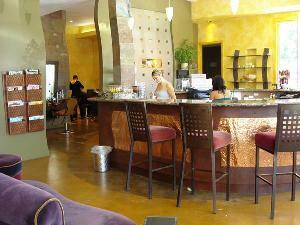 Zink Salon offers high quality hair cuts and styles in the San Francisco Bay Area. The salon is located in Menlo Park/Atherton, California which is nestled between Menlo Park and Redwood City on the San Francisco peninsula. Zink Salon's Menu of Services includes Haircuts, Blowdrys/Stylings, Updo's and Special Occasion styles, Japanese Hair Straightening, Permanent Wave and and all types of Color! At ZINK Salon you can book your appointments through our front desk as well as directly through your preferred stylist. We offer all hair services including: cut, color, highlights, blowdrys, perms, hair straightening, wedding, special occasion styles and more!